An impression of the beautiful colourful machair north of Saligo Bay on the west coast of Islay. This entry was posted in Landscape, New Post, Sunny Weather and tagged Islay, machair, Saligo by Armin Grewe. Bookmark the permalink. Beautiful! 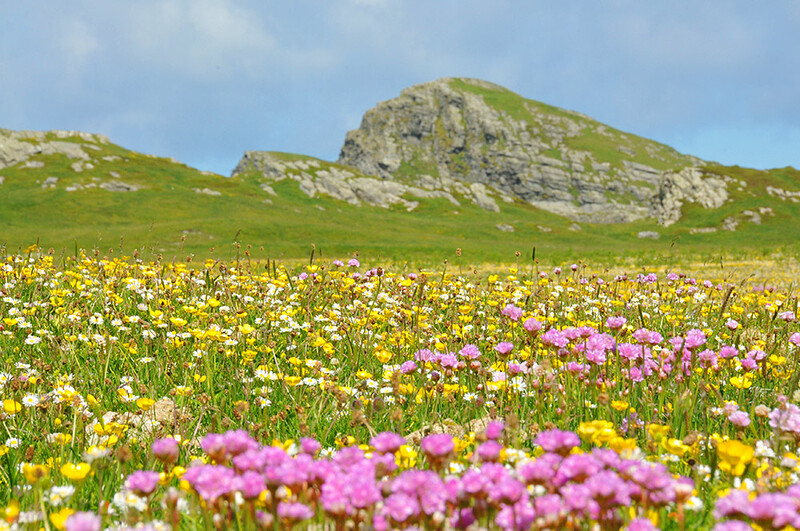 We have only visited in March, October or December so have yet to see Islay’s machair like this. Definitely worth a visit in June, the colours are beautiful. Of course not as big as in the Outer Hebrides, but there are some decent stretches around Kilchoman and Saligo.